Think of it as a giant Snickerdoodle covering warm spiced apples, and welcome the change of seasons with this traditional Fall dessert. 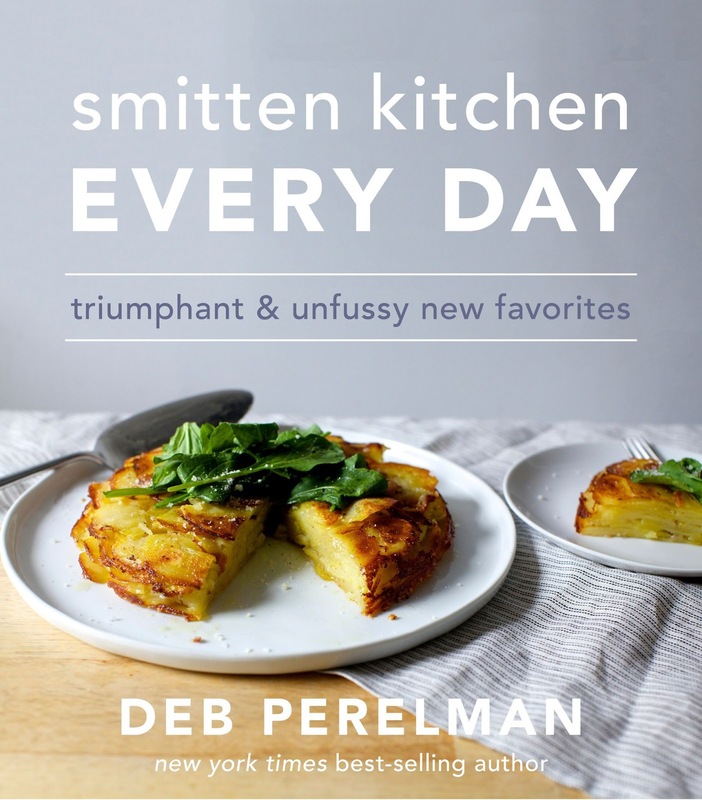 The recipe is adapted from Deb Perelman's recipe in “Smitten Kitchen Every Day." 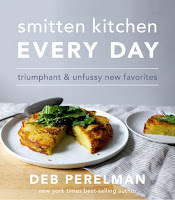 Gluten-free flour and slivered almonds replace the usual oats. A hint of powdered ginger adds a slight tang. The sugar? I tried twice, but aside from substituting coconut sugar with the apples, decided to indulge - for just this once! - in the original recipe amount. 1. In a large bowl, add and whisk the lemon zest and juice, cinnamon, nutmeg, cloves, powdered ginger, vanilla extract, sugar and salt. Set aside. 2. Core the apples (with an apple corer if you have one). Peel, halve and cut into 1/2 inch wedges. Add the apples to the ingredients in the bowl, and mix well to cover all the apples. Put the apples in the bottom of a 7 x 10 baking dish, or something approximately that size. Arrange them in a single layer as best as possible. 1. Melt the butter in a large saucepan. Stir in the sugars, then add the salt, ginger, and baking powder. Stir in the flour and remove from heat. Whisk until everything is combined. Dough will be sticky. Crumble the dough over the top of the apples. Add the toasted almonds, if using. 2. 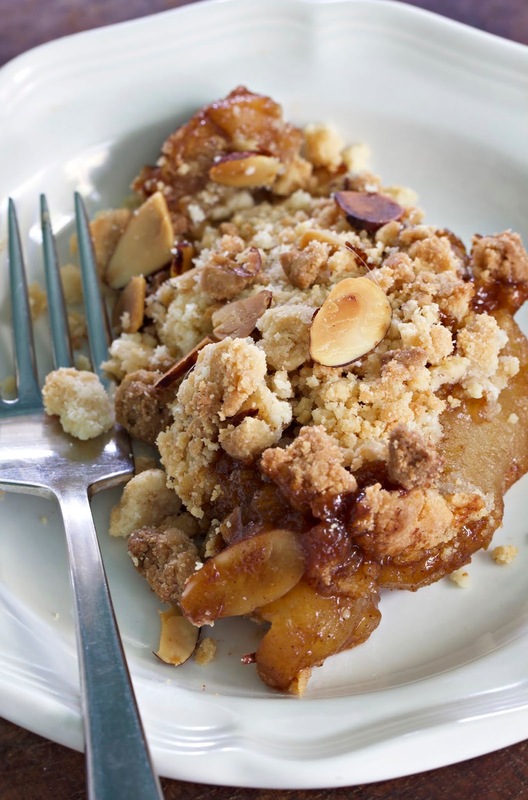 Bake the crumble for 40 to 45 minutes, until the crumble is slightly browned and apples are cooked through. Let cool for 10-15 minutes. Serve warm. Cover the top with plastic wrap and store the extra in the fridge for up to about 2 days. Reheat if desired.